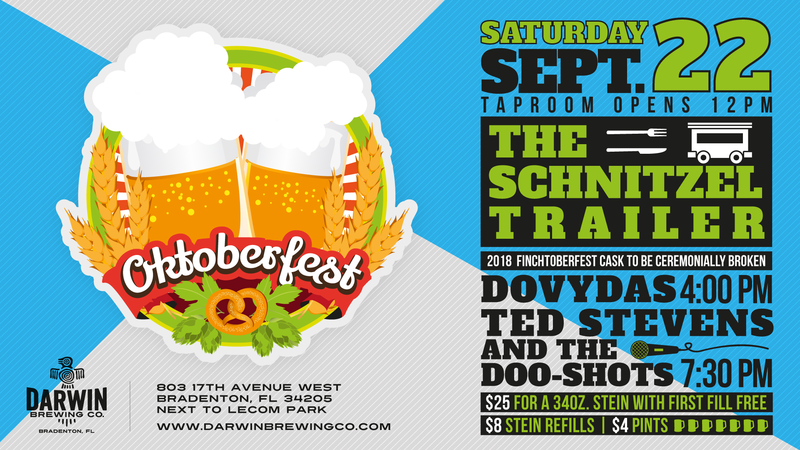 10/8/16 IT’S BEER FESTIVAL SEASON IN SARASOTA! As the local tourism and hospitality industry prepares for another busy season, beer festivals are in full swing. 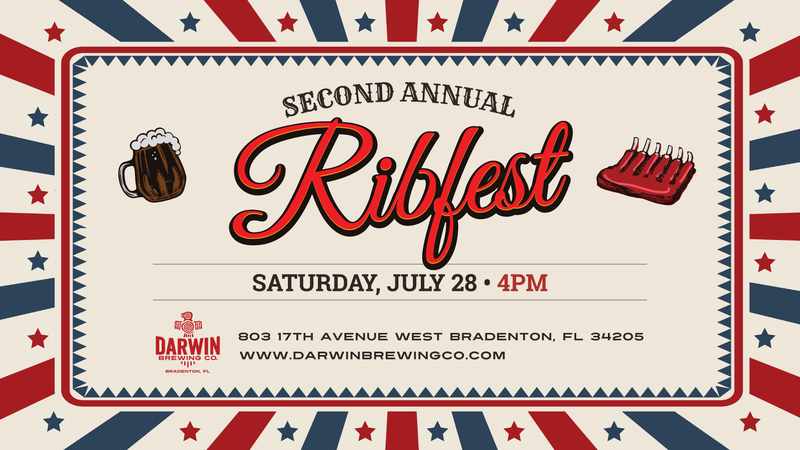 Darwin Brewing Company will participate in Beer, Boats, and Bacon on October 8, 2016 at Nathan Benderson Park, pouring fan favorites Summadayze IPA, Circa 1926, San Juan Helles Lager, and Aji Limo Rojo Red Lager. After its wildly successful return in September, the Local Evolution Craft Market hosted by Geraldson Community Farm returns to Darwin Brewing Company on Friday, October 14, 2016 from 5-9pm. CalaCocoa Chocolate Pumpkin Lager will be the evening’s featured brew, while the vendor spotlight this month is on Sugar Cubed Pastry Lab. Executive Pastry Chef Dana Johnson has teamed up with our Brewers to create a beer & dessert flight. Four festive seasonal beers will be paired with four spooktacular sweet treats for just $15. Halloween costumes are encouraged and a special kid zone will be available in addition to Trick or Treating at each vendor booth. Local singer-songwriter Kristopher James performs 6-8pm. This fall, Darwin Brewing Company is proud to be an official sponsor of the Bradenton Area Half Marathon “Run the River,” a signature event from the Hernando de Soto Historical Society. Representatives from DBC will be on hand in the Marathon’s post-race beer garden to sample a special Florida-inspired Kumquat Wit. The official Bradenton Area Half Marathon After Party will be held at Darwin Brewing Company where live local music will kick off the celebration at 6pm. Justin Kaiser opens for Lesa Silvermore. 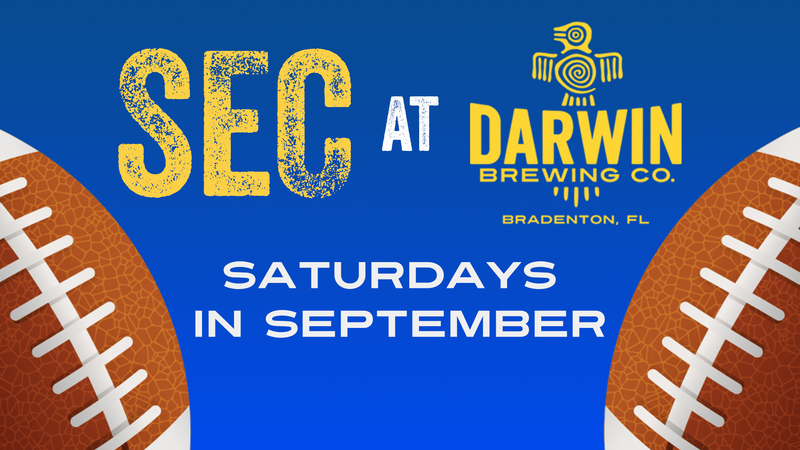 On Tuesday, October 25, 2016 at 6pm, Social Eatery & Bar will present its first beer dinner highlighting a seasonal selection from Darwin Brewing Company, including a custom Vanilla-Lavender White Stout brewed just for Social. Menu highlights include a soft pretzel with beer cheese paired with San Juan Helles Lager, a harvest quinoa salad paired with the custom brew, Aji Limo Rojo-battered fresh catch fish & house-cut chips, Jade Pale Ale paired with bratwurst sliders, and a German Apple-Riesling Cake paired with Chicha Purplecorn Ale. $45/person. 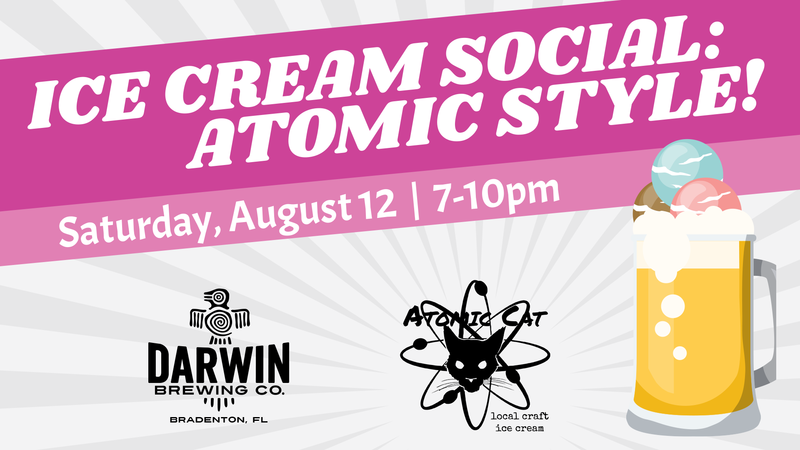 Call Social Eatery & Bar at (941) 444-7072 to reserve your seat today. October’s featured $4 Beer of the Month is Aji Limo Rojo Red Lager. Wednesdays (open 4-10pm): Weekly Finch Run 5k at 6pm. Thursdays (open 4-10pm): Tap It Thursday weekly new release & Growler Club, 15% off growler fills. Blue Rooster Food Truck open 4:30-8:30pm. Fridays (open 4-11pm): Blue Rooster Food Truck serving 4:30-9:30pm. Saturdays (open 12-11pm): Blue Rooster Food Truck serving 2:30-8:30pm. Sundays (open 12-5pm): Service Industry Sundays, receive 50% off with hospitality paystub.